Virtual reality is being trialed more and more in all industries – and healthcare is no exception. But behind all the buzz about how VR can improve the way things are done, how could the technology actually be used to transform medicine as we know it? Diane Jooris, a psychiatrist based in Belgium, is researching how VR can be used to aid patients who are undergoing surgery. Her company, Oncomfort, aims to put patients in a state of hypnosis during surgery which means they can be given a local anesthetic, rather than general. The patient puts on the VR device and will be immersed in a different background, which is modified depending on the patient’s needs. A voice will speak to them to help them fall into a hypnotic state. So far, results from patients who have had breast cancer surgery show that technology can reduce post-op anxiety by 56 percent, and bring down post-op pain by 45 percent. One of the most common ways to treat PTSD is a method called exposure therapy. This is when someone who has gone through a traumatic experience avoids doing something that they associate with that trauma. For example, some people who have suffered a distressing experience may not want to leave the house in the aftermath. And VR is now being used to help with this exposure therapy. The person suffering from PTSD will put on a VR headset and be immersed in the situation they tend to avoid in real life. So far, experiments with VR in exposure therapy have been conducted on several war veterans, including those soldiers who were stationed in Afghanistan. Dr. Shafi Ahmed, who works as a colorectal surgeon at St Bartholomew’s, is pioneering VR in live-streaming surgical procedures to teach other surgeons how to perform new procedures. In 2016, Dr. Ahmed live-streamed an operation on a patient with colon cancer in 360-degree perspective, allowing people around the world to ‘tune in’ using VR technology. 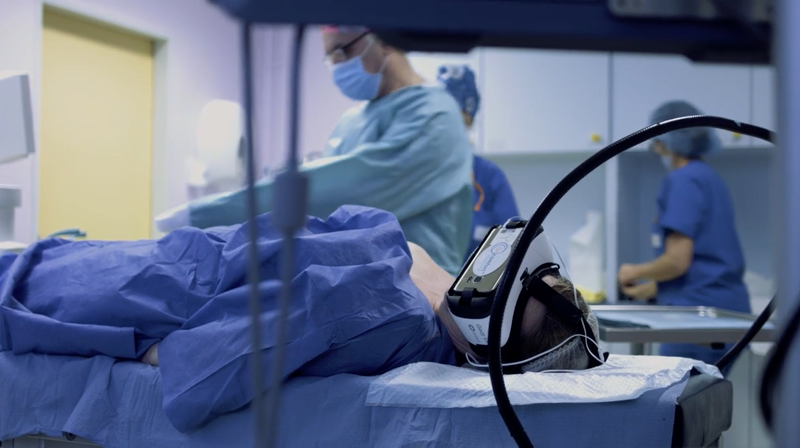 When procedures are streamed through VR, the people who are connected to the feed are ‘brought in’ to the operating theatre, appearing as avatars in the room. Professors at UCLA in California have been trialing how VR can be used to help patients suffering from memory loss, by immersing them in a new environment and monitoring how their brain processes information. The study asked the patients, who suffer from memory loss, to follow directions within the virtual scenario, which were given to them in the first instance, but not given to them on the second try. The electrical activity in their brain was then monitored separately. In 2018, a virtual reality film called ‘Beholder’ was created which aimed to demonstrate how autistic people see the world. It was created by Matt Clark, whose 15-year-old son, Oliver, is severely autistic. Clark created the film so other people could see the world through his son’s eyes. Although for some time, scientists have been using VR to study autism by setting up controlled environments with the technology, people with autism are now using it to characterize how they see the world, increasing understanding of the condition.